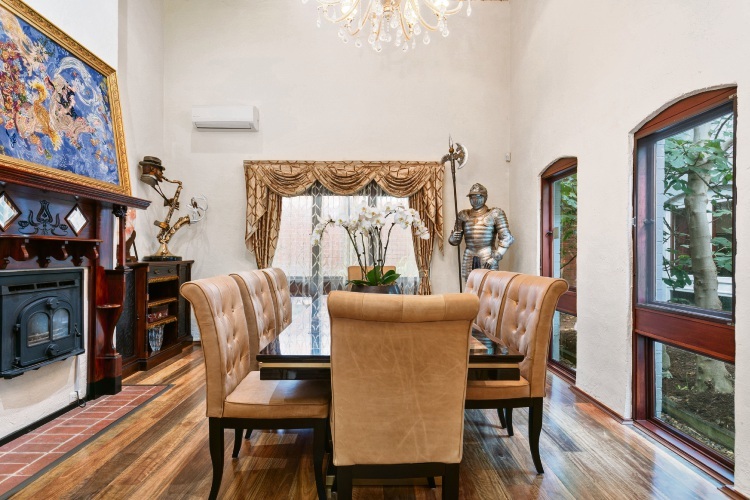 THIS home has a touch of the past with 6.5m high open truss ceilings, studded timber front doors, medieval-style chandeliers and ornate fireplaces, along with the amenities of the present. 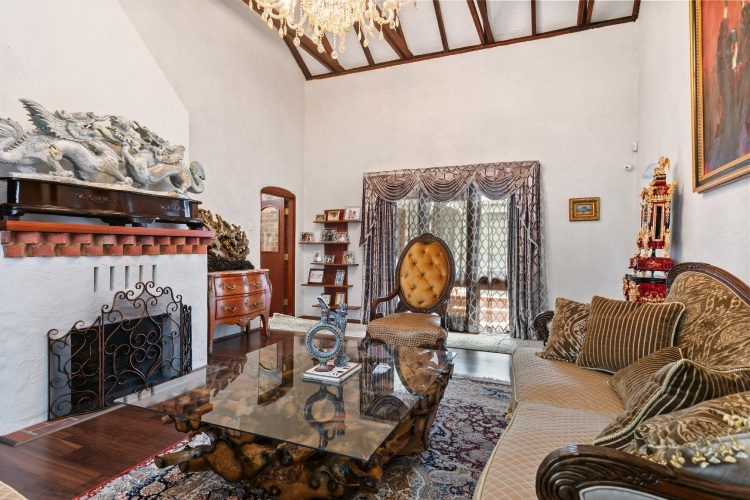 It was built in 1980 and the owners carried out an extensive renovation in 2016, saying it has the feel of a modern day English castle. 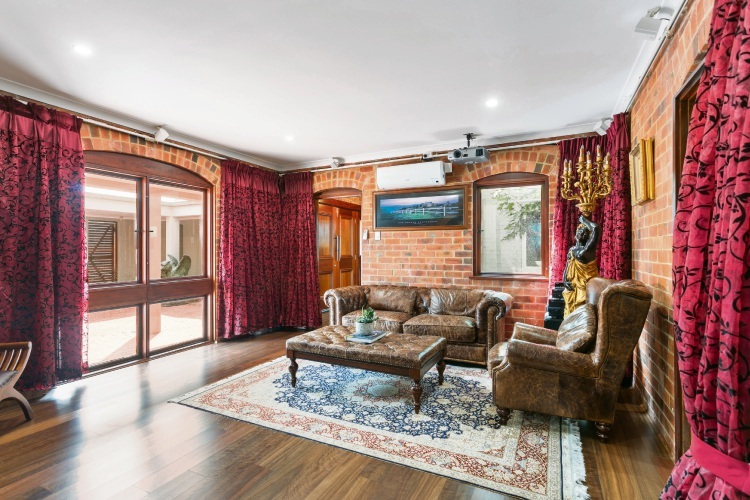 They said the grand lounge room was a wonderful place to relax while watching the fish peacefully swimming in the 4m marine tank and the open fireplace crackling in winter. 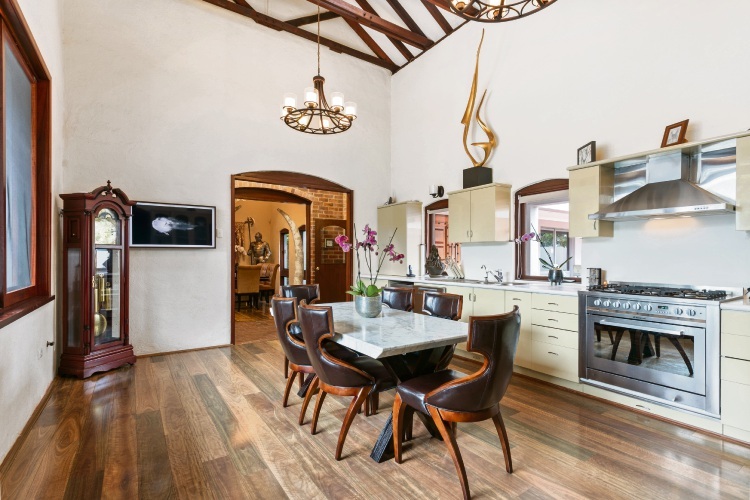 There is also a dining room with fireplace and a well-appointed kitchen/meals area that offers a great view of the north-facing garden. 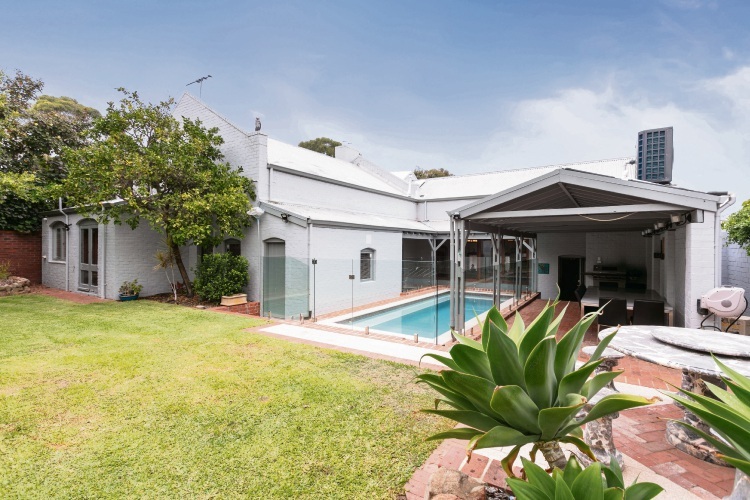 “All homes revolve around the kitchen, so the outlook looking back at the pool and backyard opens up the home and space and lets in natural light,” the owners said. 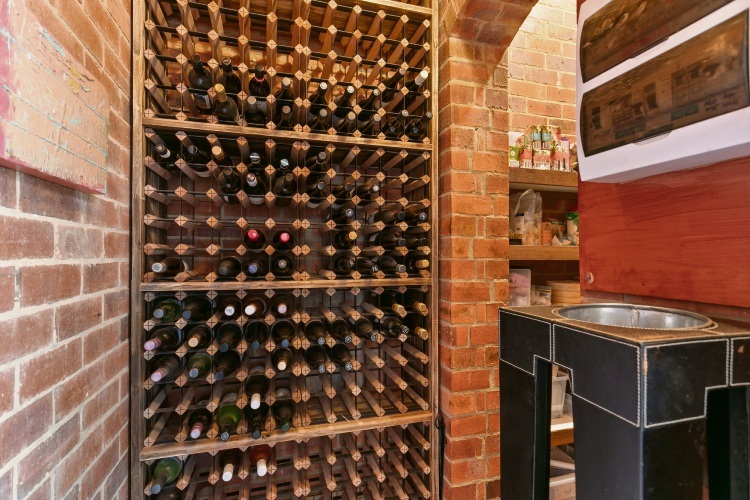 A wine cellar is next to the kitchen. The home is suited to a family or multi-generational living, with its multiple living areas and bedrooms in a variety of locations. The master bedroom is near a study that could be nursery when children are young, and has a walk-in robe, large ensuite with shower, bath and heated flooring, and a retreat opening to the backyard. A bathroom is nearby that has convenient access to the pool area. There are two more bedrooms on the other side of the main living spaces, near another bathroom and activity room. A mezzanine floor includes two bedrooms, bathroom and living space with kitchenette. 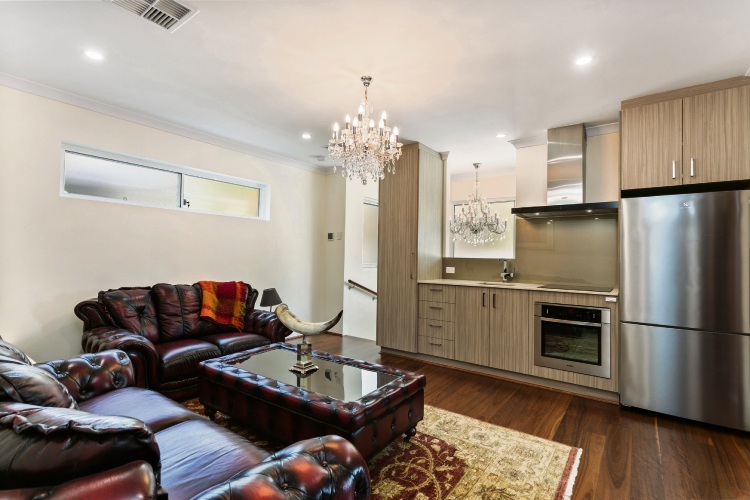 The owners said it was ideal as a granny flat, for an au pair or guests. “This section could be totally separate to the rest of the house and can easily be locked off to save on cleaning and utilities,” they said. 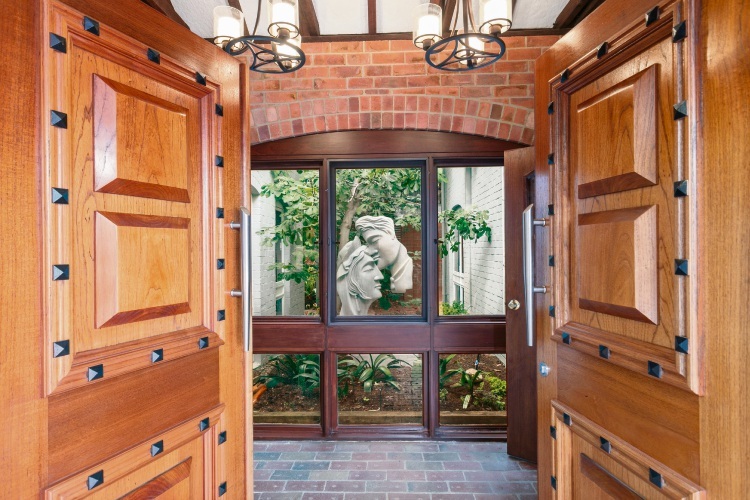 Outside there is an alfresco area, veranda, the heated pool and gardens. The home is on a large block, with access from a rear lane. The owners said this gave direct access to the property while keeping the home quiet, peaceful and secure. They have enjoyed living in the neighbourhood, which they described as quiet and relaxed. “A coffee shop 350m from the house makes for a very comfortable lifestyle,” they said. 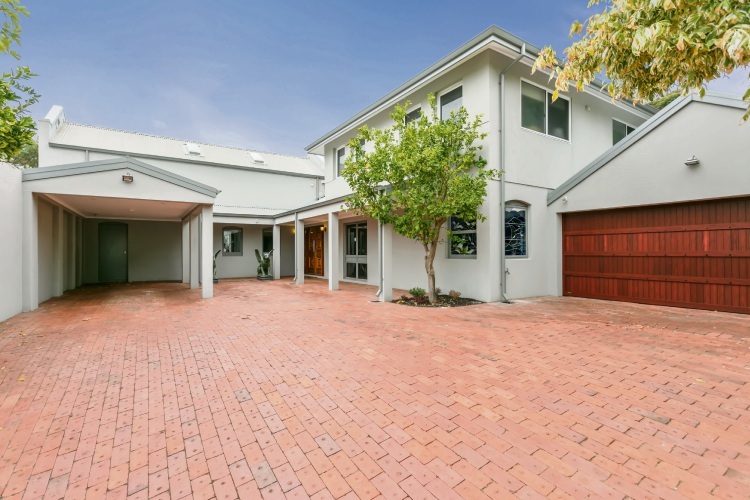 The home is in walking distance of schools, parks, shops and the foreshore.